Polyurethane hose (PU) hoses are durable and kink resistant. They have a small bending radius and are resistant to weathering. 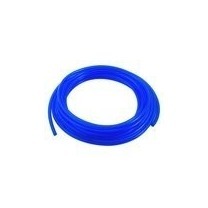 PU hoses are often used with push-in fittings and are suitable for compressed air or water. These PU hoses are resistant to UV, microbes and hydrolysis.